A premium recently renovated for 2017 non smoking ensuite room facing the promenade with views out over the bay. 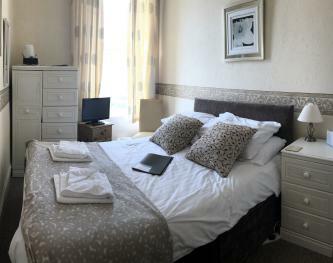 This room features wireless internet, tea and coffee making facilities, a hairdryer and 32 inch TV and DVD. 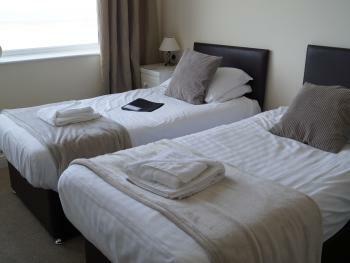 Double room with ensuite facilities, wireless internet, tea and coffee making facilities, a hairdryer and TV. As with all our rooms, our twin rooms feature wireless internet, tea and coffee making facilities, a hairdryer and TV. 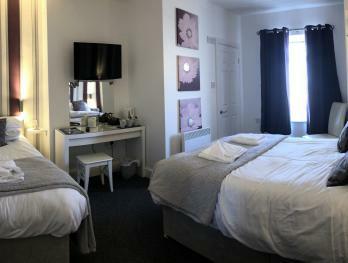 A Top floor en-suite family room consisting of 1 double bed plus bunk beds. 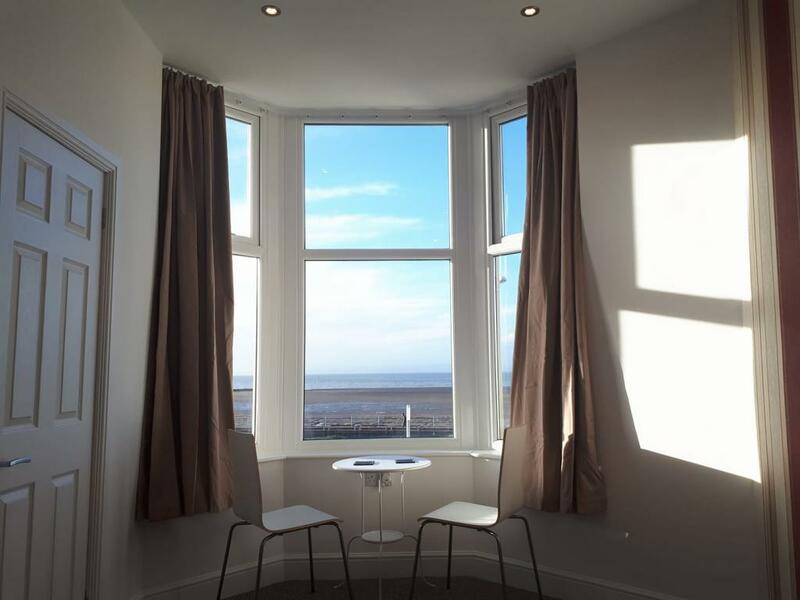 Stunning views over Morecambe Bay and to the lake district. 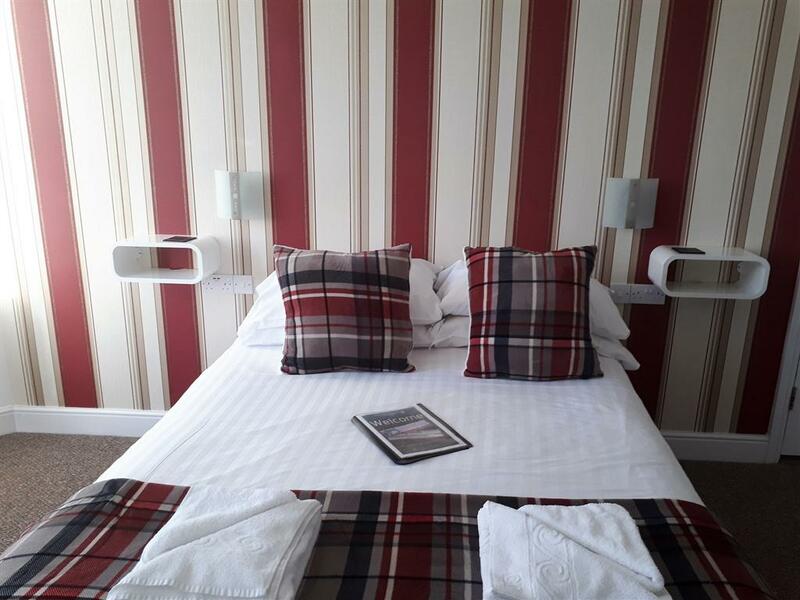 A non smoking room with a double bed and a single bed. 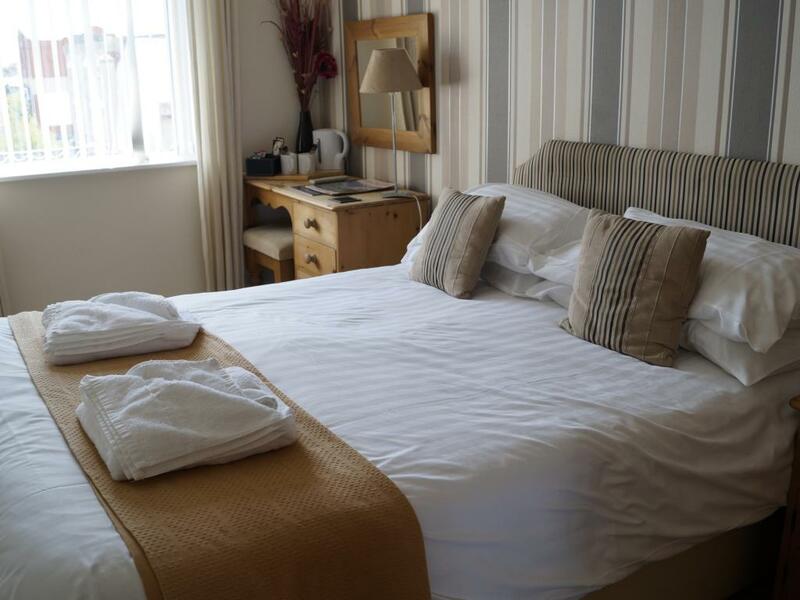 This room features wireless internet, tea and coffee making facilities, TV and hairdryer. 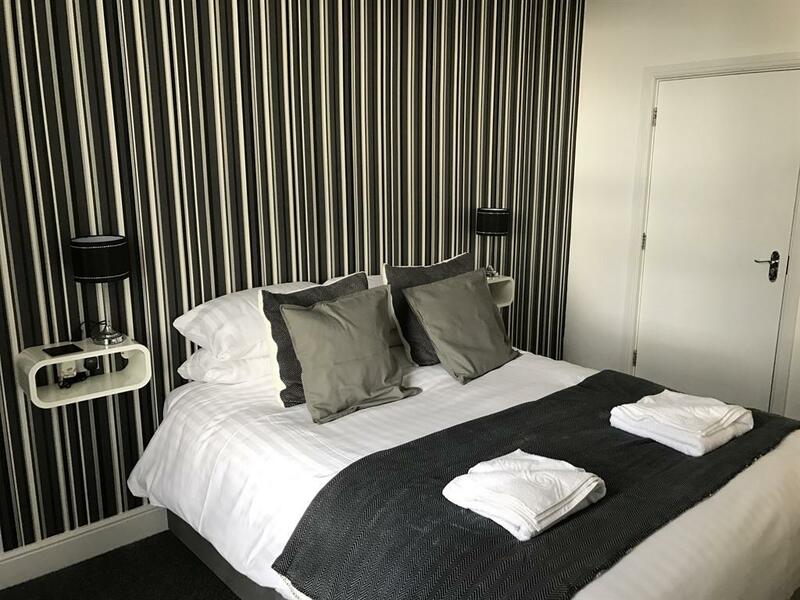 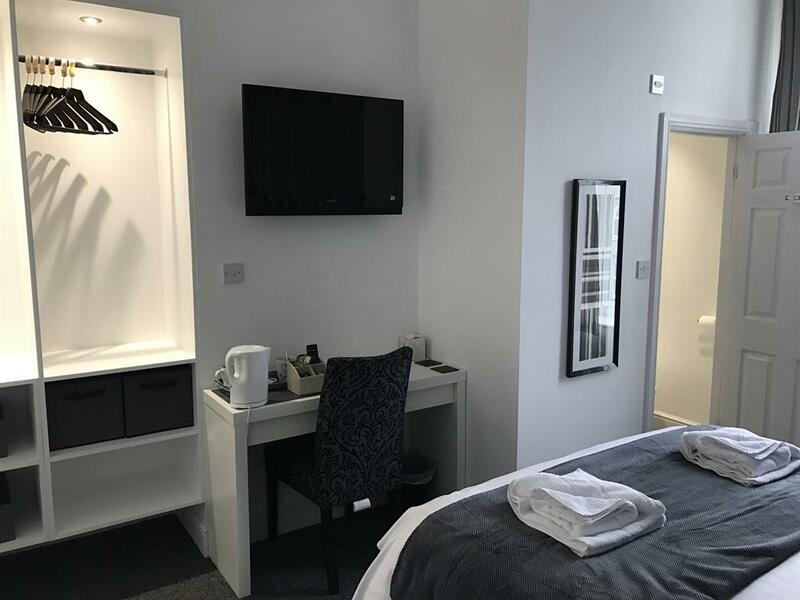 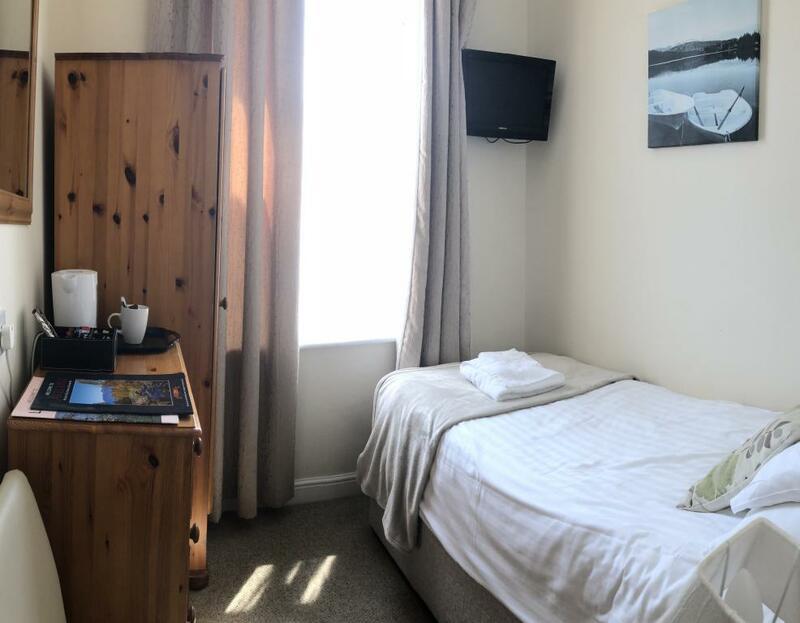 Double room with partial ensuite facilities (shower in separate room), wireless internet, tea and coffee making facilities, a hairdryer and TV. 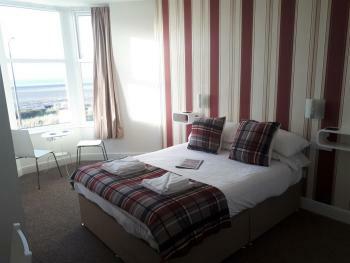 Single room with ensuite facilities, wireless internet, tea and coffee making facilities, hairdryer and TV. The Balmoral Guest House is a 3 Star award winning (Trip Advisor Certificate Of Excellence 2012, 2013, 2014, 2015 & 2016) guest accommodation situated on Morecambe Promenade, overlooking Morecambe Bay, which is renowned for its superb sunsets against the Lake District Mountains. The guest house is open all year round and well established and family run, offering excellent cuisine and comfort; and is ideally located for all the amenities of the resort. 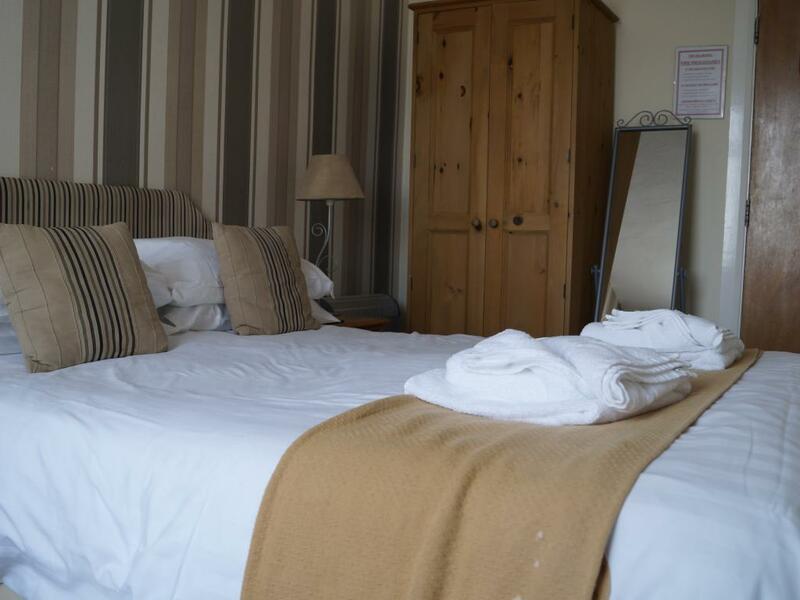 The guest house is tastefully furnished throughout, with installed double glazing. 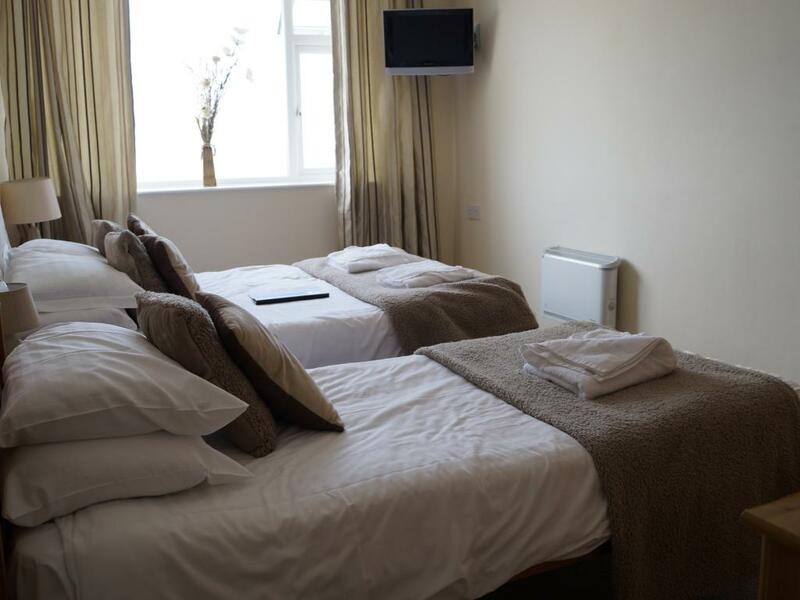 The thirteen bedrooms comprise of single, twin, double and family rooms; all have tea-making facilities,free view t.v's and also have shaver points. 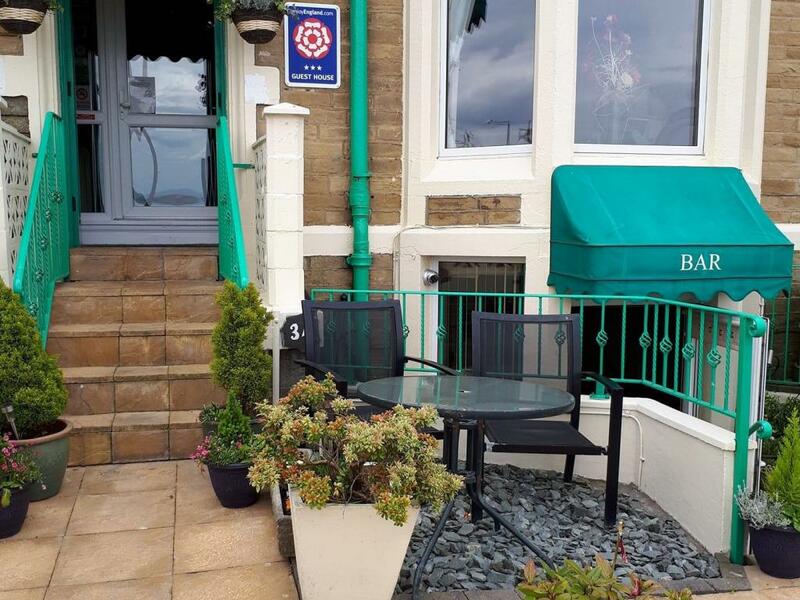 If you’re feeling active, enjoy kite surfing and windsurfing at the beach just across the road. We are also opposite a large park complete with water features and children’s play area. Happy Mount Park is just 2.5 miles away, complete with charming walks and trampolining as well as a splash fun area with water jets. There is also an indoor Pirate’s Adventure Play Park, ideal for children up to 12 years old. 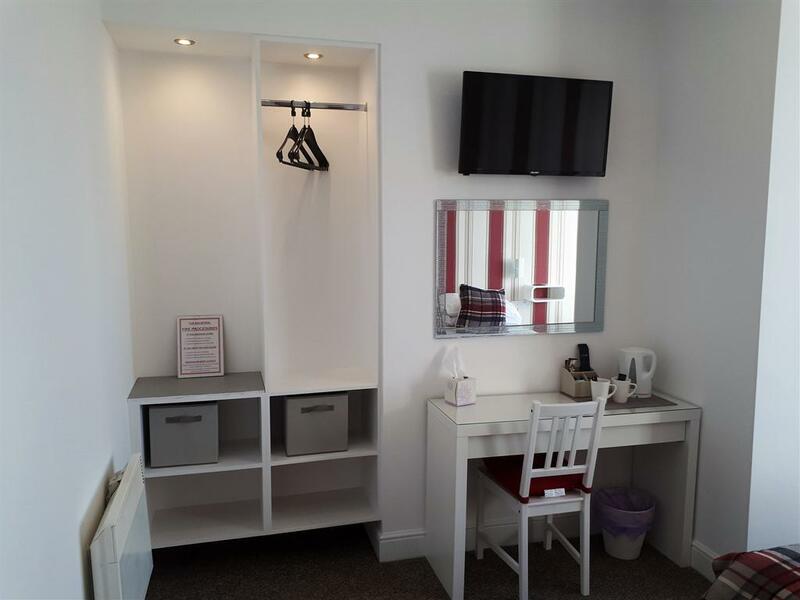 Secure lock up is available for push bikes - If you require use of the bike storage, it is vital that you call or email us to check if there is availability. 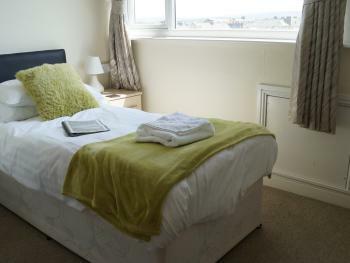 Most bedrooms are available with a shower and toilet ensuite. Of course guests have access to our guest house at all times - there are no restrictions. Bedroom and front door keys are supplied to guests upon arrival. Our breakfasts are cooked fresh and within the guest house; and are given compliments on a daily basis! 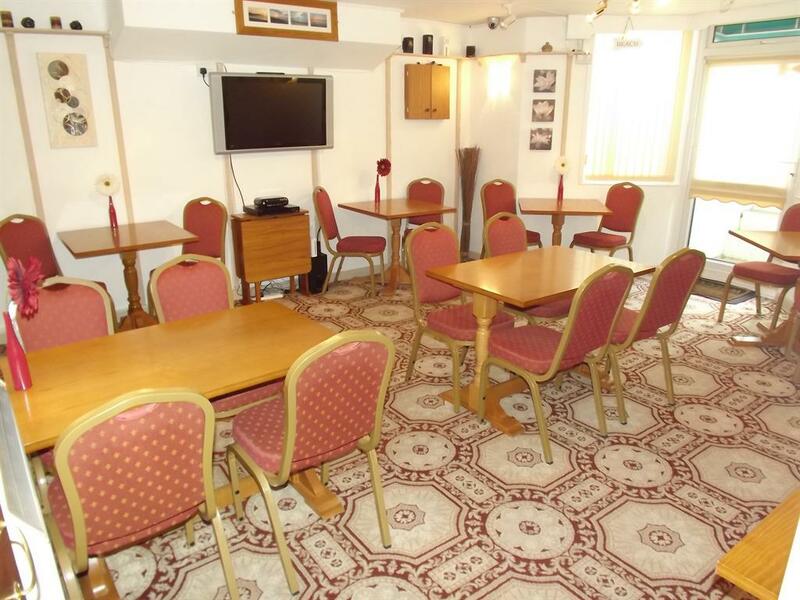 Free on road parking and wireless internet. 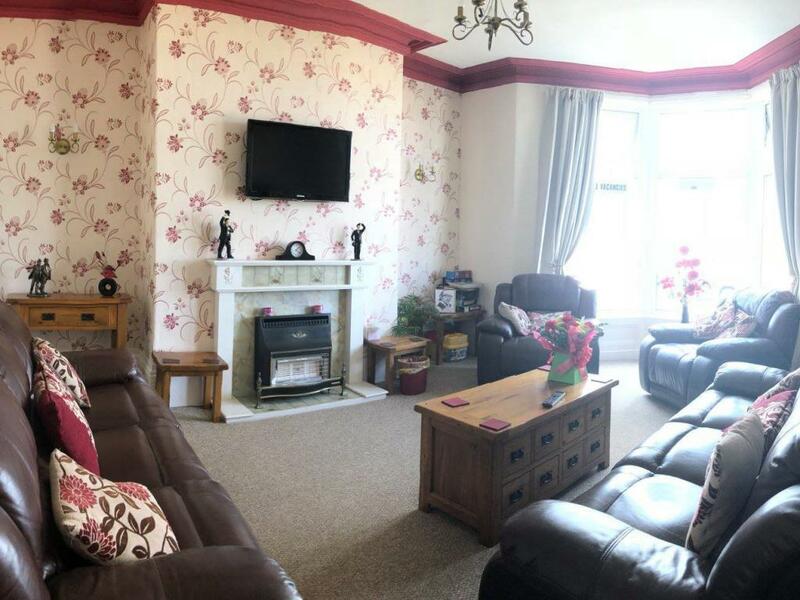 Please Note: Hen and Stags groups are not accepted.